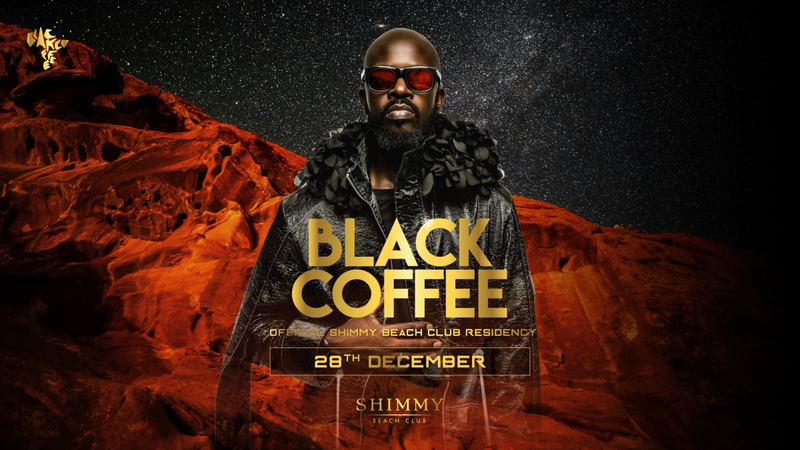 Back from outer space, Black Coffee lands at Shimmy Beach Club this December for four exclusive summer shows! Get ready for a summer season that will bring the heat like never before, with phenomenal supporting acts, stellar production and an element of the extra-terrestrial to bring the energy of the galaxy’s best dancefloors to the sands of Shimmy Beach. VIP grants you access via a separate entrance to the VIP lounge area, with VIP toilets, waiter service and unreserved seating.